The Nacogdoches County Chamber of Commerce is offering to Chamber members Health Insurance Product options designed to give businesses that employ between 2 to 50 businesses a group insurance advantage. 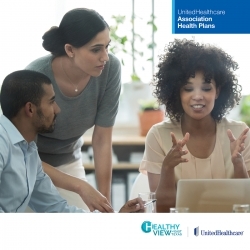 This new benefit became possible as a result of a recent ruling by the United States Department of Labor permitting Chambers and associations to offer “Association Health Plans” once again. The new health plan option is as a result of a partnership with HealthyView of East Texas, a benefit offered exclusively by Chambers in East Texas and the Nacogdoches County Chamber of Commerce. Participants interested in being considered for this benefit must be a member of the Nacogdoches Chamber. The underwriter is UnitedHealthcare and both local hospitals are in-network. The Nacogdoches County Chamber will host a series of health insurance forums for businesses that employ between 2 to 50 employees to introduce the new products and answer questions. The first forum will be held on Tuesday, December 4, 2018 at 2:00 p.m. at the Chamber Office, 2516 North Street, Nacogdoches. Attendees are encouraged to call the Chamber at (936) 560-5533 to make a reservation to attend. For more information please call the Nacogdoches County Chamber of Commerce at (936)560-5533.